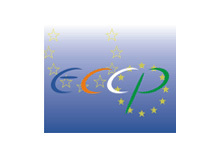 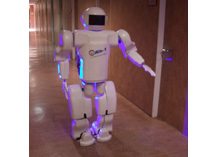 The Robotics Lab members are pioneers in the European Union R&D projects in the field of robotics. 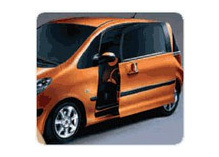 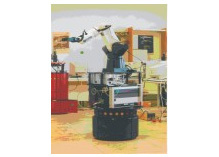 During earlier 90s several EU project were developed: Esprit II project PANORAMA (Perception and Navigation Systems for Mobile Applications), and Eureka projects SAMCA (Flexible shoe factory), AMR (Advanced Mobile Robot for Public Safety) and GEO (Big Range Robotized System). 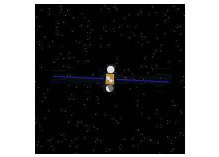 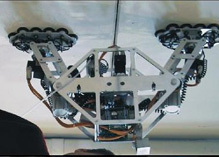 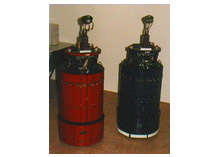 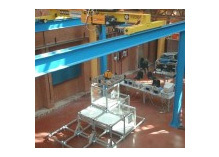 In 1992 the Esprit III project ROCCO (Robot Assembly System for Computer Integrated Construction) was started. 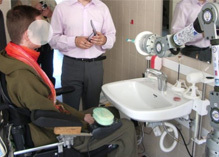 ASIBOT is portable assistive robot for elderly and disease people bringing more freedom in daily tasks as eating, drinking, shaving, make up, tooth cleaning, etc. 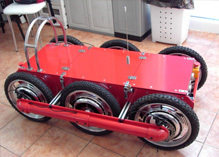 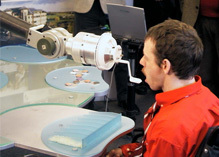 The robot is under experimentation in the National Hospital of Paraplegics in Toledo. 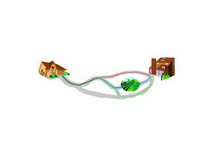 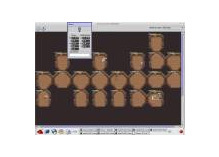 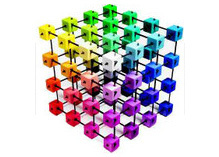 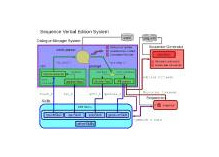 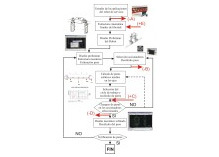 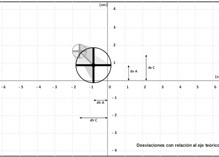 Here we try to build models based on three-dimensional informacion provided by a sensor system with two objectives: build a traversable region model to navigate in complex indoor or outdoor environments and build three-dimensional models for manipulation. 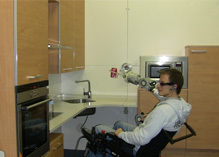 The main goal of this research area is to design and develop really portable assistive robotic devices able to be transported easily by the user in his daily trip from house to office, providing the assistance in both environments. 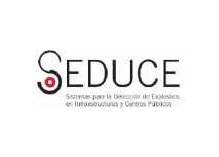 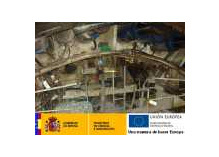 The main objective of this research area is to introduce the new automation and robotics processes in the construction sector. 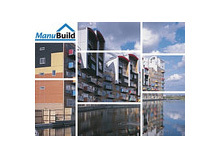 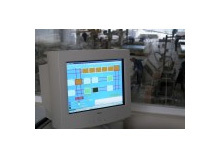 The aim is not only to increase productivity, but also to improve work safety and hygiene conditions. 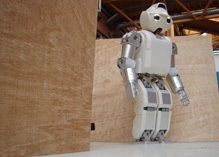 The assistance of disabled, elderly and persons with special needs become to be one of the most important service application of the robotic systems in the near future. 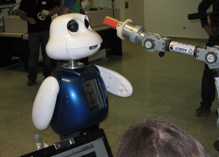 One of the main challenges faced by social robots is how to provide intuitive, natural and enjoyable usability for the End-User. 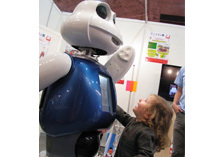 In the human normal environment, social robots could be important tools for education and entertainment(edutainment). 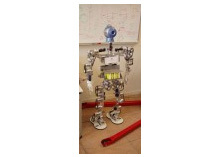 The research in stable walking of humanoid robots is in general non-solved problem. 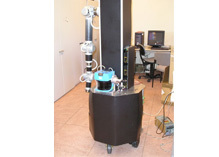 Our research deals with the implementation of stable gait on 12 DOF Rh-0 and Rh-1 bipedal locomotion system. 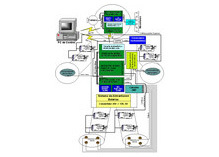 Humanoid robot is complex system that must be carefully designed. 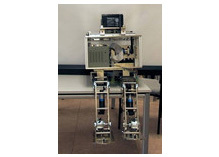 Development of a hardware architecture is the first step to the integrated control system of a humanoid robot. 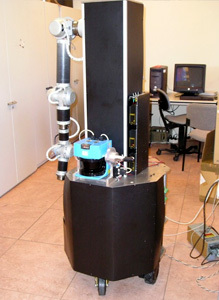 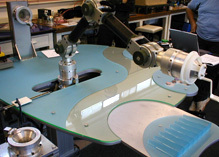 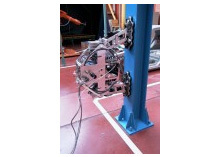 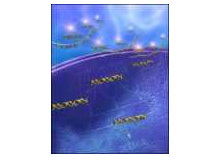 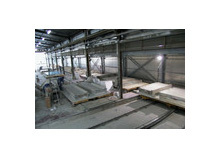 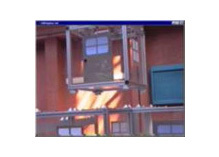 This research area deals with the development of a robotic head for the robot Rh-1. 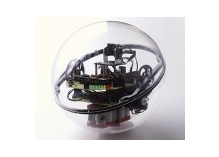 The head will be equipped with various sensors, such as cameras, microphones etc. 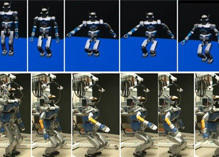 The humanoid robot bipedal locomotion requires computationally advanced and efficient algorithms to solve both, the global navigation with obstacle avoidance and the local mechanics movements problems. 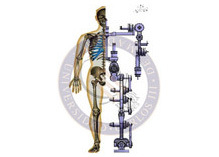 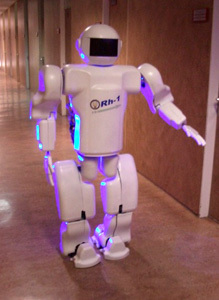 This research area deals with the development of a kinematic and dynamic design of humanoids robot Rh-0 and RH-1. 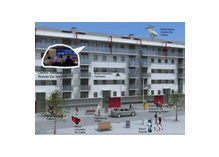 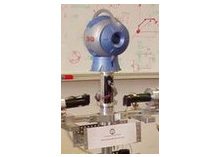 The main objective of this project is to design a decision making system, based on emotions and using unsupervised learning, for an autonomous and social robot. 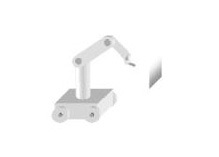 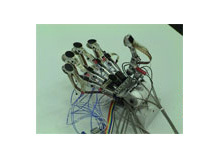 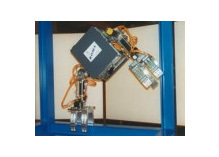 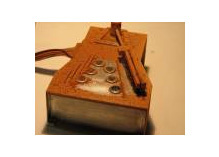 Design, Development and Control of Robotic Hands with special characteristics. 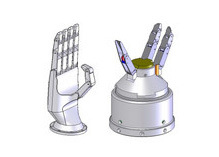 One of the most intense ambitions in robotic researches is to imitate a human hand, due to its several possible uses and its ability to interact with the environment. 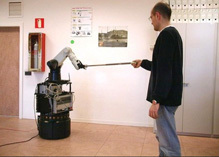 In the interaction between humans and robots it is necessary a mechanism to specify robot's task. 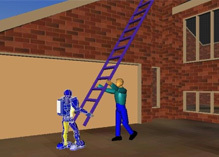 The AD Architecture has been developed at RoboticsLab, it is a framework to modeling a set of skills that describe a Robot's performance. 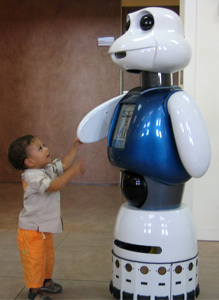 The robot needs to develop the humans communication skills in order to allow its interaction with them. 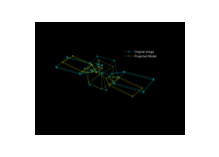 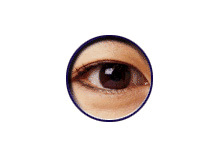 One of these human skills is the human vision system,here we present our system called Cognitive Emotive Visual System. 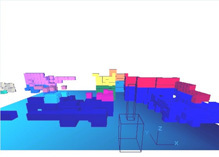 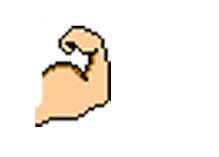 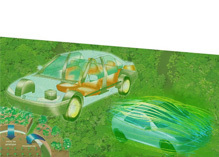 The effort that we want to improve is focuses in the development of algorithms and techniques that allows an automatic adaptation of visual systems to changing environments. 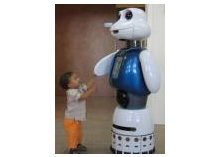 Assistive robot is one of the most promise robotic application in near future. 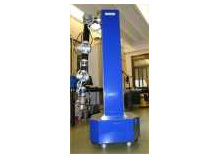 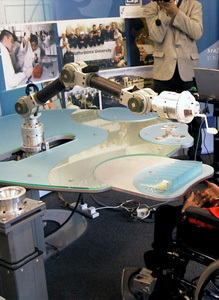 Since 2000, Robotics Lab developes a robot for disable and elderly people assistant (MATS), general interactive intelligent assistant (PRA), and general humanoid assistant. 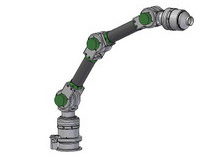 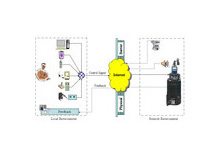 In the last few days, several collaborations have been established in Industrial Automation field as automation of construction processes and several task for automation industries. 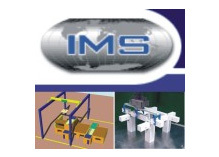 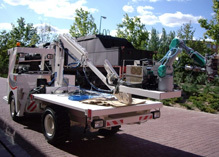 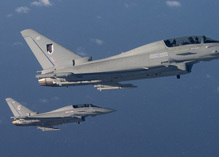 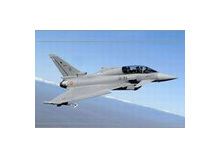 The objective of this research line is to develop advanced mobile manipulators able to operate in human environments. 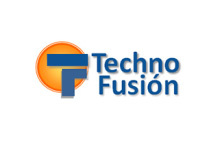 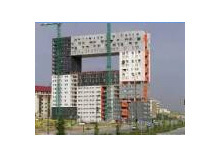 Technofusión (the National Centre for Fusion Technologies) in the Madrid region, is conceived as the infrastructure required to develop the technologies needed in future commercial fusion reactors. 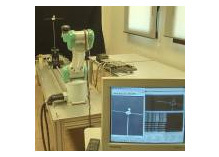 Developmental pathway towards autonomy and dexterity in robot in-hand manipulation.